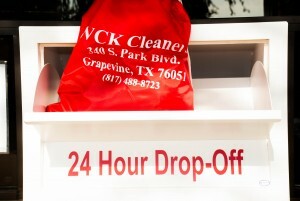 WCK Dry Cleaners is located at 340 S. Park Blvd., Grapevine, Texas, in the Tom Thumb parking lot. Our operating hours are Monday thru Friday 6:30 am until 7 pm, Saturdays 7:00 am to 6:00 pm. Our drive-thru window has the same operating hours. Call us at 817.488.8723 for information. Thanks so much for landing on our website. But even more, thank you for your business. 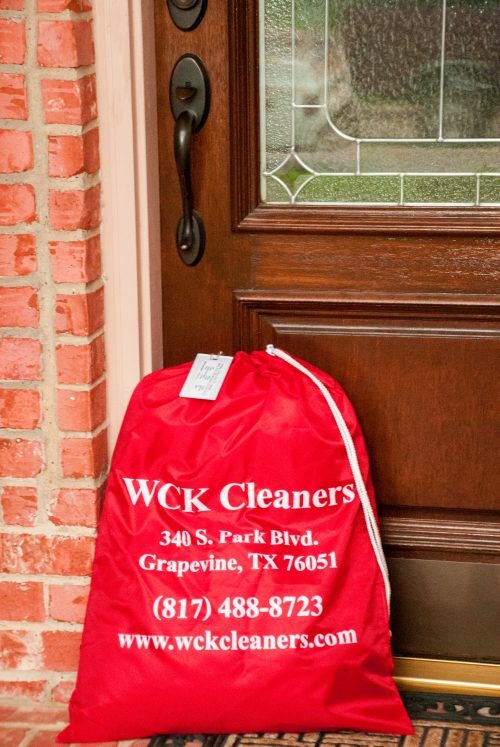 All work done on site in Grapevine, Texas, with the exception of alterations and leather/fur cleaning. Once you visit us you’ll find that we are “Texas Friendly”. We have a tendency to greet you with a smile, we’re eager to help friends, and strangers alike, and have a true desire to cultivate lasting, meaningful friendships. One lesson we learned a long time ago is that you have to help people to get what they want. Business is all about relationships, and you can’t keep asking people for their business without repaying them. We repay our customers with great service, high quality, fast service, and attention to detail. We also learned that if we help people out, they will go an extra mile to help us out. 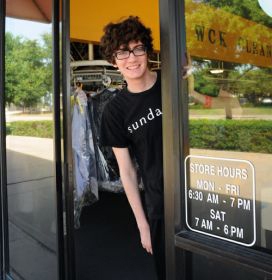 We are located near the intersection of the 114 and Northwest Highway in Grapevine, Texas. We have easy exiting and re-entering the 114 in both directions. So when you have time, drop on by. See how easy it is to get great service and talk to “Texas Friendly” people.